Pazu is 12 yrs young. An affectionate sensitive lap cat & purring machine.Lost his brother a few months ago & now his human has lost her home & can’t take him with her. Home life quiet but happiest when people are around. All he wants is to give & receive love. 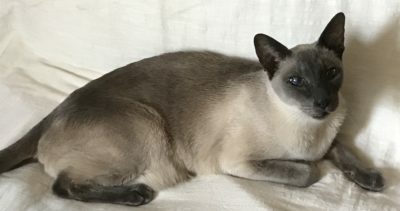 My heart breaks to rehome my blueprint Siamese boy, but believe his next human will make his remaining years glorious.